This new world of smart devices and the "Internet of Things" is a far cry from the past where anti-virus applications were the only way to keep hackers out. Now, such software is child's play for those eager to get a hold of our information. IOT will make systems more intelligent, programmed and everything that is intelligent will be personalized. Many IoT based services will behave differently based on who's there. Facial recognition has been most common way to identify and recognize someone. Even today, no one is completely identical and God has made all of us different. We recognize each other by looking at face. In this digital age we are required to create multiple registrations on multiple web sites. Some places it’s for accessing email, some for accessing social media and some for making e-commerce transactions. A survey indicates that a normal internet user has on an average 20+ accounts on different web sites. To address the problem of multiple logins user name and password, companies like Google and Facebook created “Login with Facebook” and “ Login with Google+” . To protect user personal data, GSMA created Mobile connect authentication for mobile consumers. UIDAI offers API through which, it allows a person to be authenticated in real time. 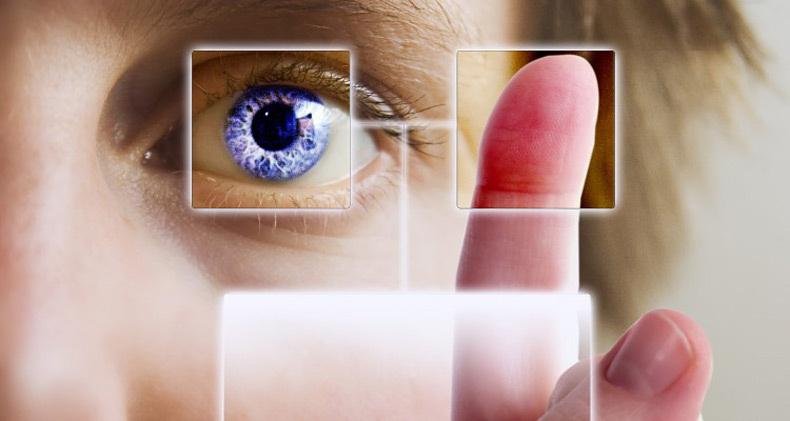 There are many phones launched in Indian Market which has made iris scanning for authentication. ZTE launched a smartphone which is based on Android. ZTE‘s latest Android smartphone allows the users to unlock it by scanning their retinas with a built-in biometric solution. However once this capability is made available to third party applications, you may just login to your app by scanning your retina and no longer you will like to remember your complex passwords to login to your mobile wallet or your bank accounts!! This will offer a greater security and ensure certain actions only happen if user is physically present. Recently Aircel has done a proof of concept by implementing Aadhaar API for facial authentication. The application verifies customer selfie is with Aadhaar photo for authentication and access is granted only if the same is matched. In a similar way a bank may give access to vital information only if the iris based authentication is successful. Along with the endless new opportunities, internet brings in threats to consumers, consumer application, large scale infrastructure, which in turn forcing businesses to identify the risks and exposure for full proof & future proof strategy. Technology is evolving at a great speed and with the invent of IOT devices and sensors technology, it’s now possible to have a locker which completely operates by using your “body“ as the new password. Some of the lockers available today scans your retina and only grants access if the same matches. The outreach of social media and mobile devices means businesses are more vulnerable to hacking and in a bid to keep information secured, a new wave of body centric devices are replacing passwords. Today there are devices available which will authenticate your identify by measuring your heartbeat. This is becoming possible with the IOT and sensors based technology. University of Washington computer scientists and electrical engineers have devised a way to send secure passwords through the human body — using benign, low-frequency transmissions generated by fingerprint sensors and touchpads on consumer devices. “Fingerprint sensors have so far been used as an input device. What is cool is that we’ve shown for the first time that fingerprint sensors can be re-purposed to send out information that is confined to the body,” said senior author Shyam Gollakota, UW assistant professor of computer science and engineering.